The custom medical storage data access layer My.Medical.Storage.DataAccessLayer contains a strongly typed DataSet class (MyDataSet) and an XML schema file (MyDataSet.xsd). These can be found in the Business Entity folder of the My.Medical.Storage.DataAccessLayer project. For Choose Data Source, choose the appropriate source. 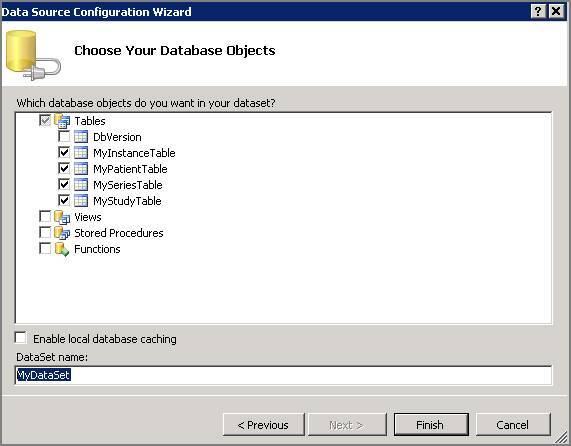 For this tutorial, we use Microsoft SQL Server 2008. Choose to include sensitive data from the connection string.